SERS offers extensive Noise Monitoring services, including measuring noise levels and workers’ noise exposures. Our expert environmental consultants can identify any areas on your work site where excessive noise may be affecting your employees. Our equipment consists of Class 1 Noise Monitors, both static and handheld. All equipment is externally calibrated every two years, serviced internally every year, and all units are calibrated using an acoustic calibrator prior to deployment on site. Acoustic calibrators are also externally calibrated every two years. 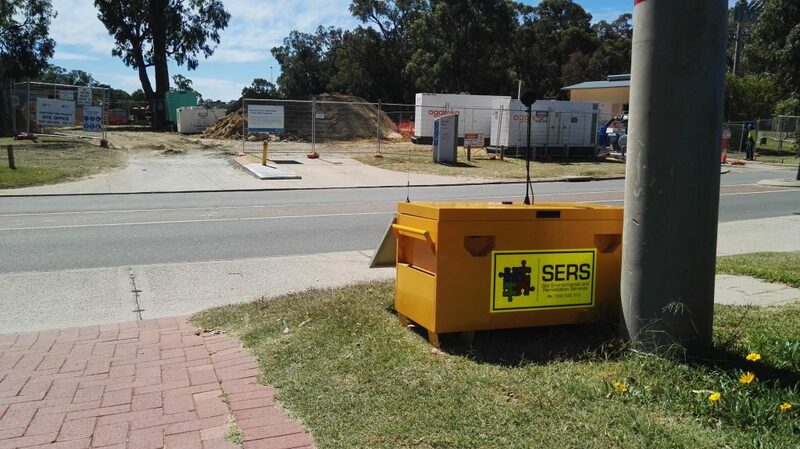 Contact SERS today for your noise monitoring services. A Department of Mines and Petroleum Licensed Noise Officer will attend site and record a representative sample for each of the occupations onsite. The most at risk members of staff will be identified with recommendations provided to guarantee that the current level of hearing protection is adequate. The process includes the inspection of all areas for appropriate levels of warning signage, proposing new sound controlling barriers or usage of different equipment to perform the same task. This must be carried out within 12 months of operations and on a five-yearly basis if at risk occupations are onsite. A Noise Officer will attend site and record a representative sample for each of the occupations onsite. The most at risk members of staff will be identified with recommendations provided to guarantee that the current level of hearing protection is adequate. The process includes the inspection of all areas for appropriate levels of warning signage, proposing new sound controlling barriers or usage of different equipment to perform the same task. Personal noise dosimetry is carried out using a wearable Class 2 Noise Sensor (Casella D-Badge). This device is programmed prior to placing on a person and is tamperproof. Noise dosimetry is carried out with the aim of evaluating the average exposure of a worker over the period of a full shift, every five years. SERS can provide nuisance noise assessment services for the residential market. These assessments can be used for the purposes of reporting an offender to the City/Shire with an independent report, or helping the home owner prove that they are compliant with the regulations. Nuisance Noise Assessment reports are extremely helpful in determining the cause of the noise, the likelihood of recurrence and ensuring that purchased products comply with their stated noise output i.e. air conditioning units. Our equipment consists of Class 1 Noise Monitors, both static and handheld. All equipment is externally calibrated every two years, serviced internally every year, and all units are calibrated using an acoustic calibrator prior to deployment onsite. Acoustic calibrators are also externally calibrated every two years.